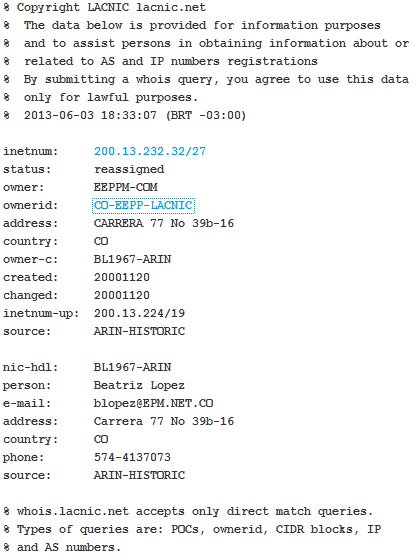 A very useful combined whois service can be found at www.kloth.net - saves trying to work out which RIR to use. 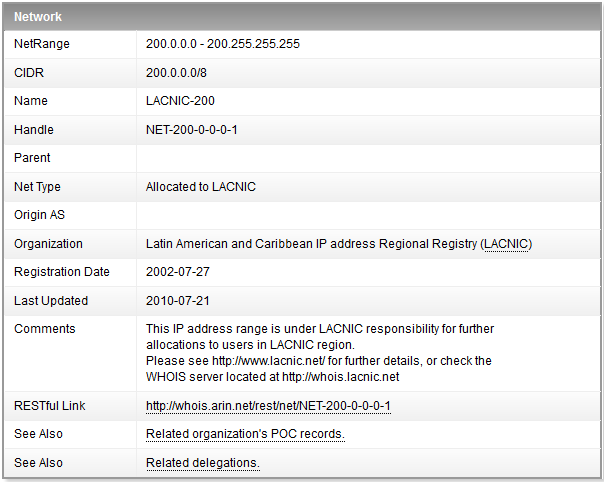 another good site is http://whois.domaintools.com/ does more than just whois lookups. I have been reporting abuse to Fortatrust for a couple of weeks now and never heard anything back from any of the emails I have sent them. So I went to their website and started a live chat. I have been reporting abuse for a couple of weeks now and haven't heard anything back from you guys....and the abuse continues. Sorry it has taken this long, but we are working on it. Iâ€™m very skeptical. Is there anywhere else I can report this? K-Dee, sometimes, you can use the RIR's whois to tell you the upstream provider. In many cases, it's listed as the "parent" network. 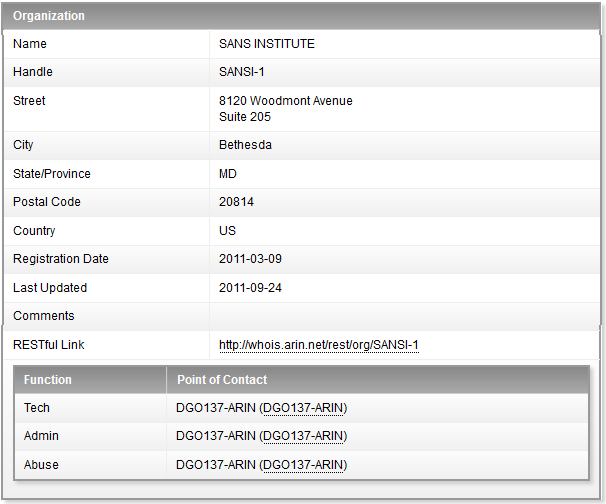 In this case, though, this address is part of a directly assigned block. You can use traceroute to help find the upstream provider. But before you complain to the upstream, remember that the 3 addresses you used are general mailboxes that get loads of spam and other junk mixed with a large number of notices, complaints, etc. The admins there may well take a while to dig through it before they find your note. Attempting another means of contact, like the chat, can go far in making yourself heard, but it doesn't work all of the time. FYI, I haven't heard back from that bad IP address since the chat session. I am still a little put off by their first response to me, but at least it appears it is taken care of.